I visit the Viennale regularly since roughly five years, and in all this time (combined! ), I don’t think that I’ve seen as many people leave the cinema as I saw during the screening of “Jauja”. The exodus started roughly 15-20 minutes in, and after that, the sound that you heard the most during the movie was the opening and closing of the doors. It went on almost constantly. It’s not that the movie would have been so disturbing and/or offensive, but rather that it was boring as hell. And while I braved “Jauja” and stayed until the closing credits, the urge to just get up and leave has rarely been stronger – and to be honest, if I wouldn’t have had one of my regular seats in the middle and didn’t want to inconvenience and/or wake up the people sitting in my row, I probably would have. I strongly believe that time is the most precious commodity of our life, and during “Jauja”, I could almost hear the seconds of my life ticking away, wasted. Now, obviously, this is just my opinion. I rarely ever discourage anyone to check out a movie that he or she thinks sounds interesting, and I definitely wouldn’t in this case. I think “Jauja” simply is one of those movies that will speak to a very small, limited audience – but that those will absolutely love it. Unfortunately, I can’t count myself among them. Pretty much the only thing that I liked about it was the beautiful first shot, that looked like an old photograph. Actually, the whole movie gives out this vibe, visually, thanks to the 4:3 format and the rounded edges. Unfortunately, that’s pretty much everything the movie has going for it. Viggo Mortensen was absolutely wasted, the story was uninteresting and confusing, the ending nonsensical, and the whole movie a pointless exercise in boredom. I also missed some music to enhance the mood. And some shots looked rather amateurish, like the scene at the campfire where you could clearly notice that the light was coming off from a spotlight. I guess that was intentional, but it totally took me out of the movie. The two biggest issues of the movie, however, were the thin plot and the tedious pacing. “Jauja” moves along at a pace that would make even the continental shift blush in embarrassment. Most of the shots went on way too long, far overstaying their welcome. All in all, the combination of no plot to speak of and the leisurely pace it was told in, just didn’t work for me, and made for one of the most tedious and exhausting movie screenings of my life. Maybe you’ll be able to take out more from it than I (or Kalafudra) did, but for me, “Jauja” simply was a complete and utter waste of time. 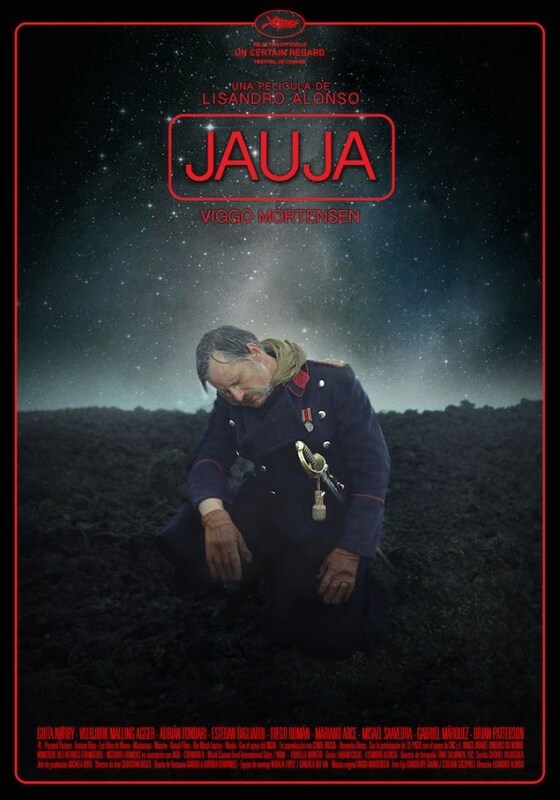 This entry was posted in cinema 2014, movie reviews, Viennale and tagged Jauja, Lisandro Alonso, Viggo Mortensen. Bookmark the permalink.